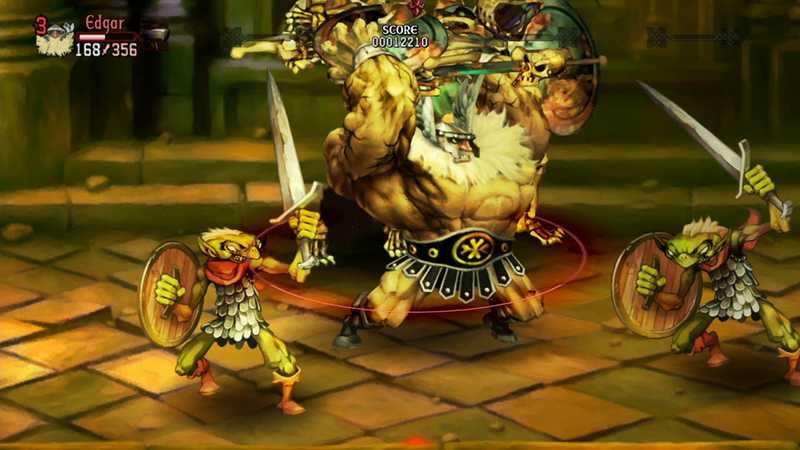 Dragon’s Crown is a love letter to the classic fantasy beat-‘em-ups of the late ‘80s and early ‘90s. 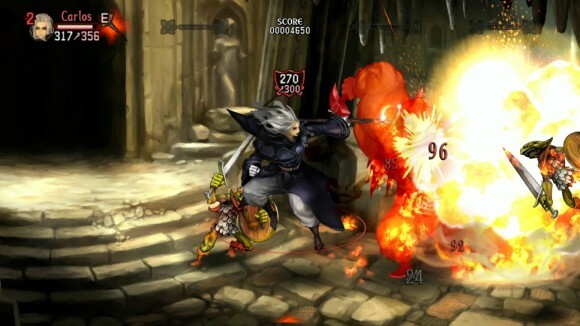 Vanillaware’s newly-released slugfest is just oozing with inspiration from genre classics such as Sega’s legendary Golden Axe series along with Capcom’s Dungeons & Dragons dualogy (fun fact- Dragon’s Crown’s art director, George Kamitani, cut his teeth on Dungeons & Dragons: Tower of Doom), crafting a high-fantasy melee that offers a sublime mix of bare-knuckle beat-downs and light role-playing elements that blend together to create a totally unique and refreshing gameplay experience. At the start of the game players can choose their hero from a stable of six archetypical adventuring classes, such as the well rounded fighter, who wears more armor than an Abrams battle tank and is able to block and parry attacks, as well as dish out plenty of punishment, a light of foot female elf who is equally devastating with her rapid roundhouse kicks as she is with her lethal bow, making her a force to be reckoned with. Players can also choose a muscular Amazon warrior who unleashes massive punishment on the game’s bestiary of monsters with her massive axe and fierce athleticism, and a Dwarven brawler who may lack range, but he makes up for his stubby wingspan with devastating blows from a war hammer. Lastly, for those interested in the arcane arts, the wiry Wizard may not be able to take many hits, but his array of powerful magiks can make him an offensive powerhouse, and the voluptuous sorceress can use a variety of support magic to aid her companions, such as conjure food from thin air, turn foes into helpless frogs, and manipulate the bones of the dead into joining your cause. After you select your character you’re thrown into the game’s tutorial where you cut your teeth on the game’s basic mechanics. 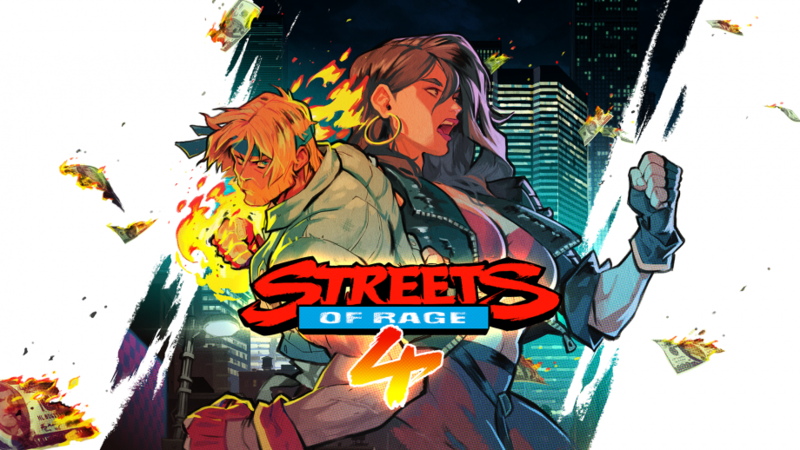 As essentially a beat-’em-up, you’ll spend most of your time exploring the game’s expansive stages from left to right, battling hordes of enemy skeletons, ghouls, and other mythical creatures as you work your way to the boss of the stage. However, as stated before, the game takes quite a few notes from Capcom’s Dungeon’s & Dragons themed-brawlers, offering a fair bit of exploration in game’s branching stages. Exploring every inch of these sprawling environments is necessary too, as you’ll want to grab all of the gold and loot you can to buy better expendable potions, appraise bountiful hauls of unidentified spoils, and raise the bones of the dead to employ as your fellow adventurers in the game’s single-player mode. 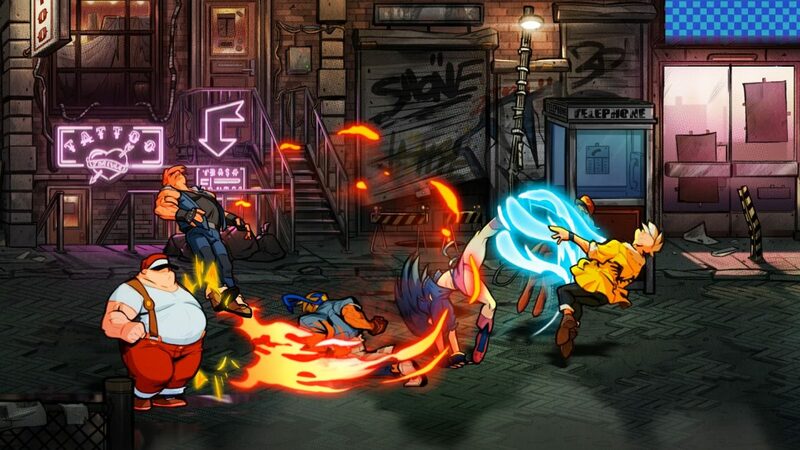 If all of this sounds a bit advanced for your average beat-’em-up, you’re right. Over the course of the game’s 15-20 hour quest you’ll take on a variety of quests at the adventurers guild, where you can also expand on six diverse skill trees, as well as upgrade your common traits to create a well-rounded fantasy killing machine, stumble upon royal conspiracies, and decipher mystic runes to aid you in your adventure. Thankfully, you don’t have to go on your journey alone. As mentioned before, players can stumble across the bones of fallen warriors throughout the game’s 9 expansive stages. Taking these broken heroes to the Canaan temple you can pay a fee to resurrect them. Up to three resurrected warriors can fight alongside you at a time, and you’ll need this support if you plan to make it anywhere in Dragon’s Crown’s epic and challenging boss encounters. 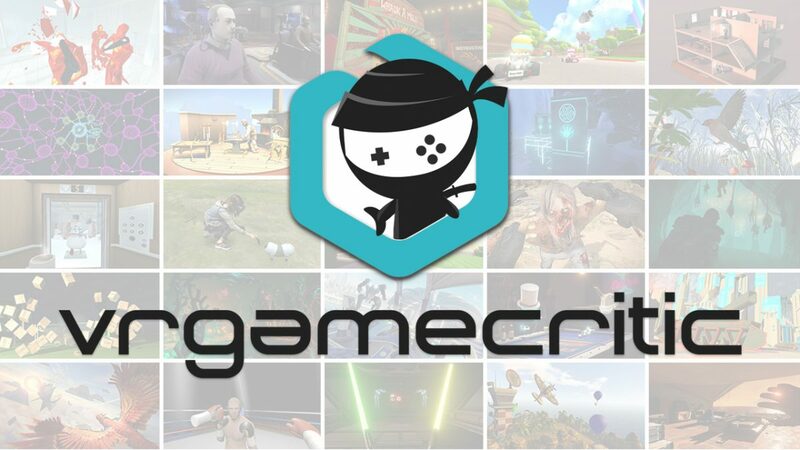 If you’d rather play with friends than the game’s AI-controlled compatriots (who handle themselves surprisingly well), you’ll have to play through the game’s 9 stages first to unlock the stables, which effectively enables the online mode. While this sounds like a major hassle, the first playthrough, or ‘A’ run, as you’ll come to know it, is pretty easy to plow through. However, the second loop, or ‘B’ mode, brings bigger bosses, more numerous foes, and stages full of peril that will require nerves of steel and solid teamwork to make it through. Just try taking on the haunting wraith or fearsome red dragon alone, we dare you. It’s impossible to talk about Dragon’s Crown without reflecting on the game’s stunning visuals. Artist George Kamitani has outdone himself with this game, offering some of the most imaginative and gorgeously animated hand-drawn sprites I’ve seen in my entire life. While some may roll their eyes at the undulating breasts of the many of the female characters (understandably so), they are a very small part of the game’s gorgeous overall visual package. Stages are painted with brilliant swathes of color, creating a dreamy, dark storybook stylized world that is unrivaled in its beauty. From the dank subterranean catacombs to the wild laboratories of a wily old wizard, each environment looks wholly unique and features a variety of interactive elements and breathtaking lighting that need to be seen to be believed. Dragon’s Crown in no slouch in the audio department as well, the game’s score, composed by industry veteran Hitoshi Sakimoto (the mind behind the awe-inspiring scores of Final Fantasy Tactics, Vagrant Story and Breath of Fire V, among others) offers a lush mix of aural soundscapes that fit the action like a chain mail gauntlet. From the haunting themes of abandoned shrines to the pounding percussion pieces that blare when advancing on the crumbling ramparts of the subterranean Bilabaron Fortress, the sweeping score perfectly accompanies the clashing steel and mystical melees Dragon’s Crown offers. All is not perfect in the world of Hydeland though, there are some minor gripes about Dragon’s Crown that keep it from being a flawless masterpiece. One nagging complaint comes from the game’s narration. While it is generally very well delivered, it becomes maddening when the game’s narrator reminds you of what exactly you should be doing every time you enter a new screen or leave a shop. Thankfully, Vanillaware mercifully allows you to disable the voice acting in the game’s options menu, though it may not drive you as crazy as it did this reviewer. Also, while developer Vanillaware does a lot to spice up the hack-and-slash proceedings, the game doesn’t entirely cast off the shackles of repetition games of this genre are known for. With dozens of quests to complete and grinding to be done in order to take on some of the later boss encounters, you’ll be spending over a dozen hours in the game’s mere 9 stages. While they offer varying paths, it’s safe to say many players will grow tired of taking on the same minions and bosses over and over again. One can only hope that Atlus and Vanillaware release a level pack down the road to help give the game legs, because you’re going to be burned out on these stages by the time you reach the closing credits. Despite these minor flaws, Dragon’s Crown is a true treat for anyone with even the slightest interest in the beat-’em-up genre. Exploring the game’s 9 stages is exciting, and the fast and frenetic combat moves without a hitch, both online and off. It’s a tremendous amount of fun venturing into the ruins of Hydeland, and fans of the genre will no doubt find pleasure in the game’s tongue-in-cheek nods to Golden Axe, such as the impish, sack-slinging thieves who steal your loot and the Shadow Over Mystara inspired boat sequence. Also, there’s a treat for fans of the Monty Python series that I simply refuse to spoil in this review. 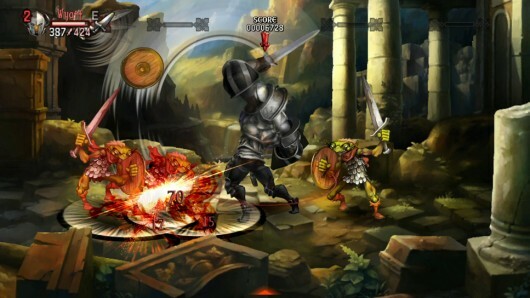 Dragon’s Crown is simply a must-play for any fans of the side-scrolling brawlers of the golden days of the arcade and RPGs alike. Learning the game’s diverse cast of characters is incredibly fun, and the fast-paced combat and silky-smooth drop-in/drop-out cooperative play is an excellent addition to this exciting fantasy package. I have high hopes developer Vanillaware decides to carry on with this series, because Dragon’s Crown shines brightly as the crown jewel of the fantasy beat-’em-ups. Full disclosure: This review is based on a retail copy of Dragon’s Crown purchased by Hey Poor Player.